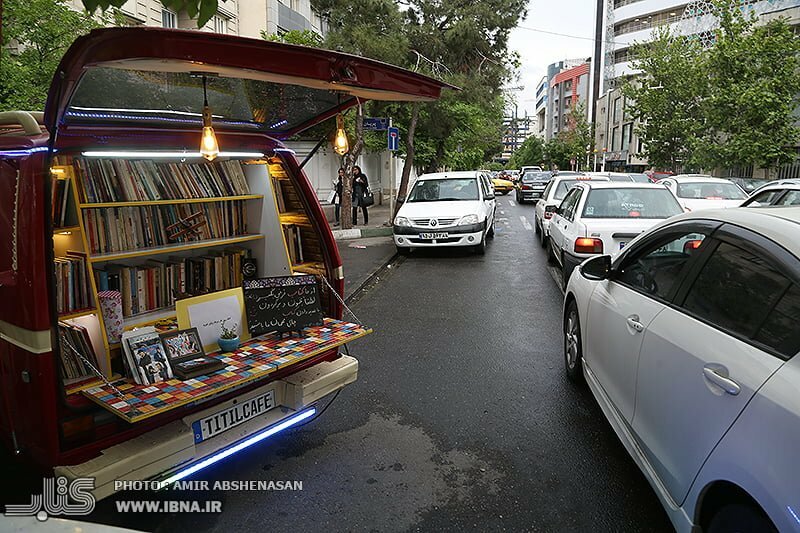 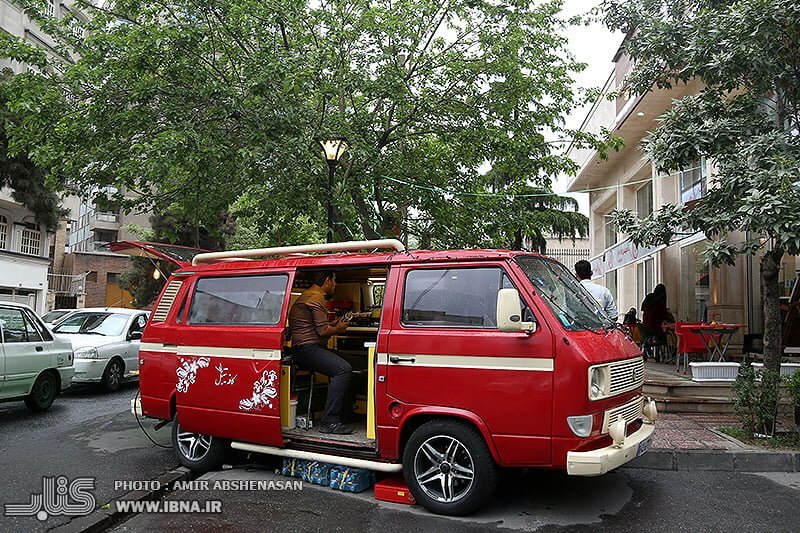 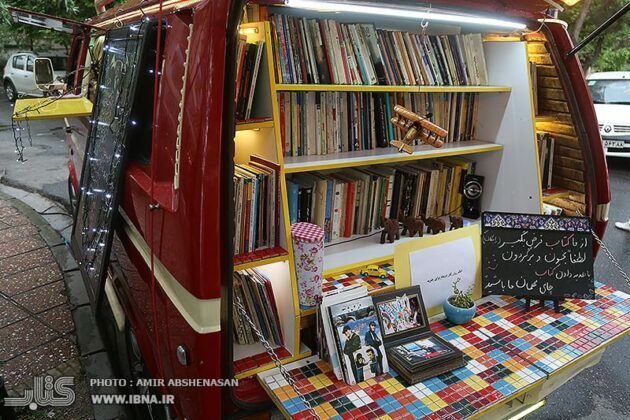 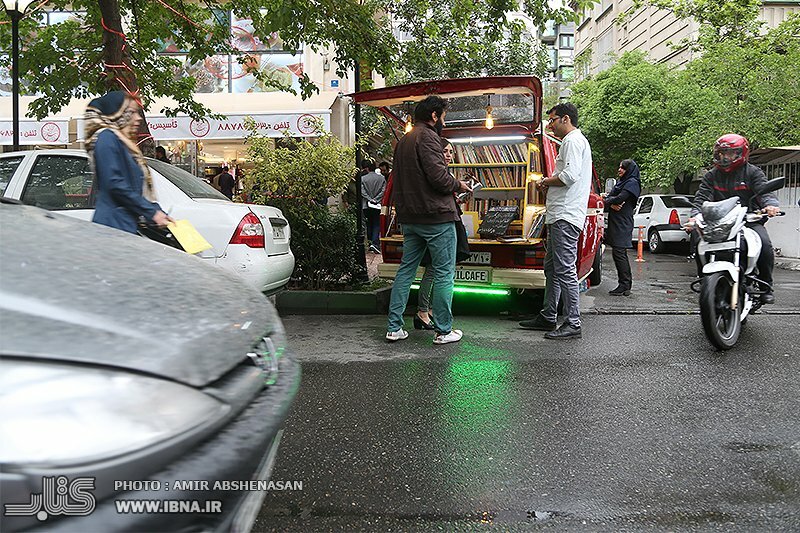 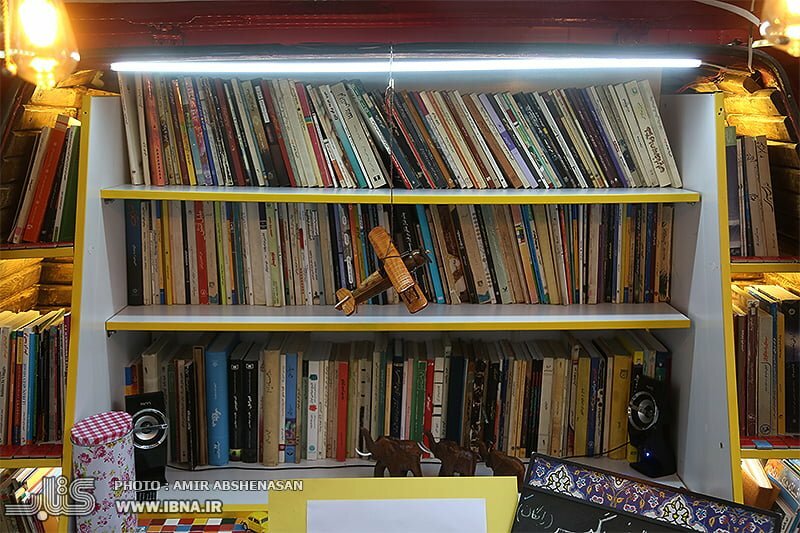 A mobile café and library has provided the citizens of Tehran with a unique opportunity to spend several hours of their free time reading books along with friends. The café titled “Titil” hosts the bookworms, who even lend their books to this mobile library in order to give the chance to their fellow citizens to read them as well. 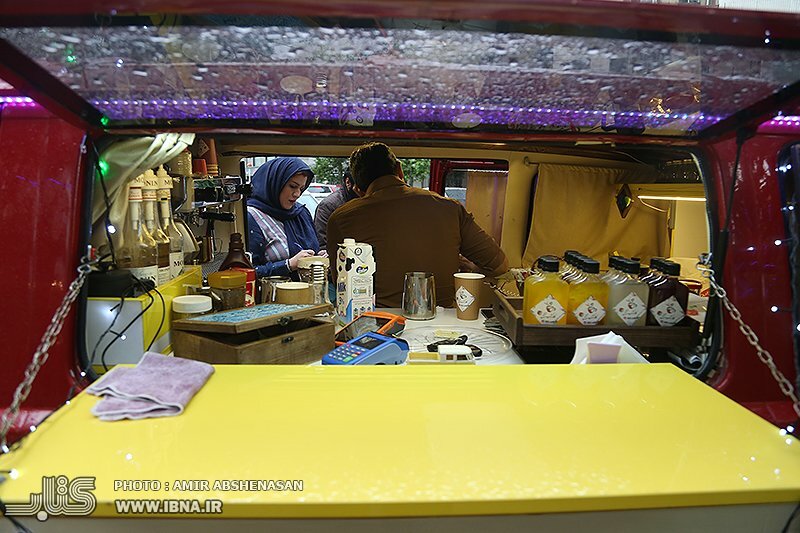 What follows is a report by the Persian-language Iran Book News Agency (IBNA) on this café. 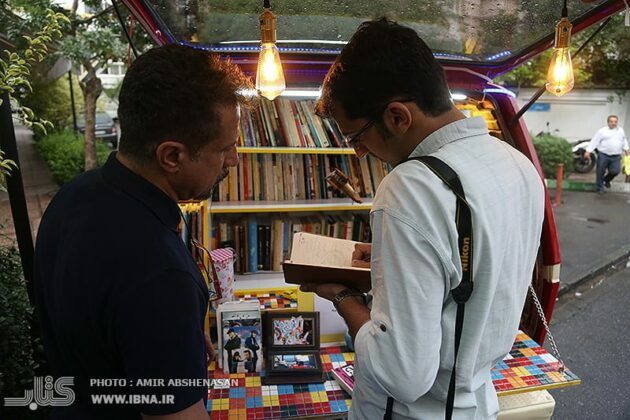 In the days that reading books is not that much prevalent in Iran, and the publishers are worried about the decreased number of readers and book shoppers, three young guys are doing their best to promote the book reading culture among people using their own talents and experiences. 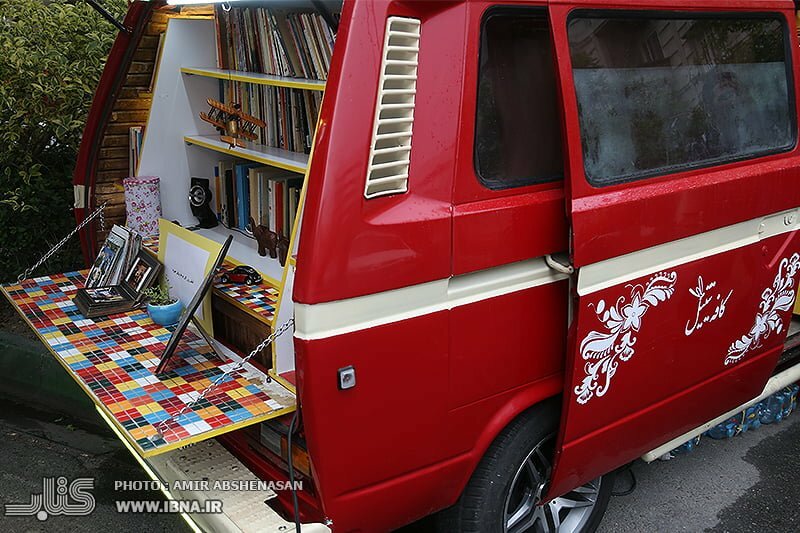 They bought a red Volkswagen T3 with a small amount of money, and turned it into a mobile library so that they could explore the city to lend books to the people interested in reading. 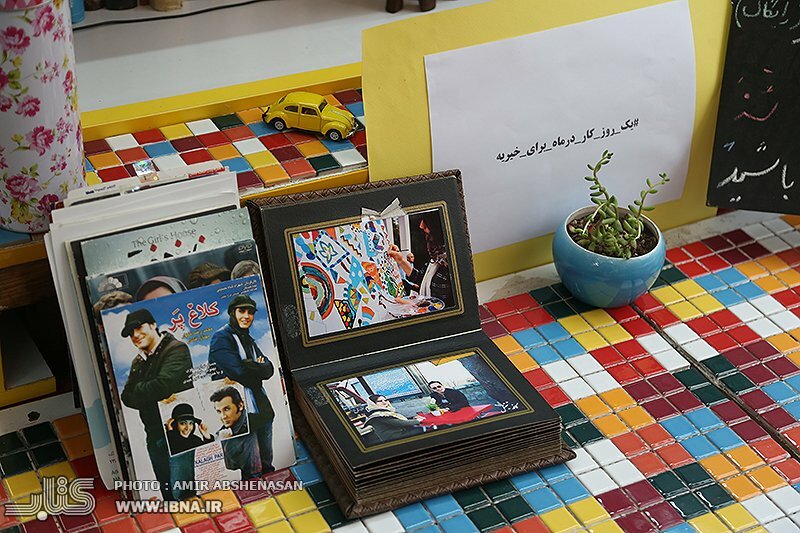 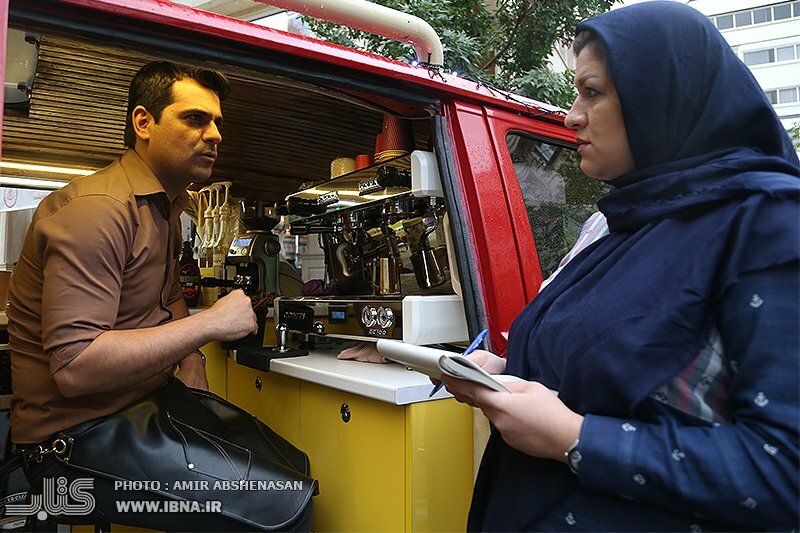 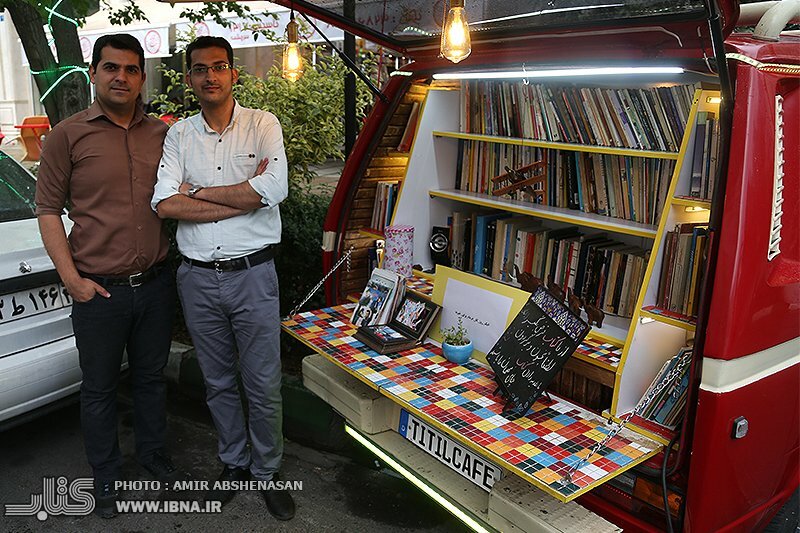 It was an interesting idea that produced results very soon, and the Titil Café has now become one of the most popular mobile cafés and libraries in Tehran. It is a café whose owners, regardless of economic concerns, seek to promote book reading culture among the people. 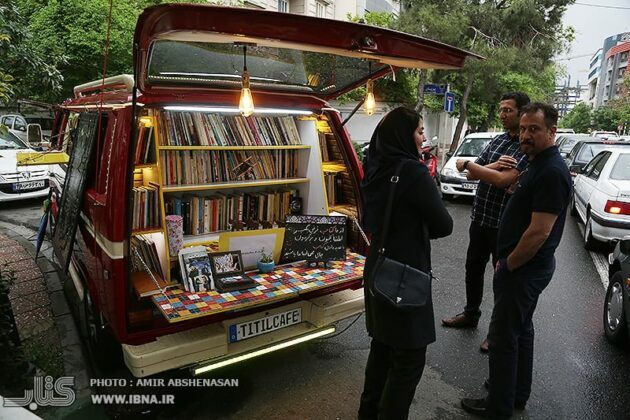 In addition to borrowing books from the café, you can order coffee, snacks and cold drinks, along with cupcakes and homemade and handmade cookies to enjoy your time when you are reading a book. Kourosh Esmaili, Mostafa Rasouli and Mohammad-Reza Heydari are the three main initiators of the Titil Café, which started its work in the summer of 2017 with an investment of around 14,000 US dollars. 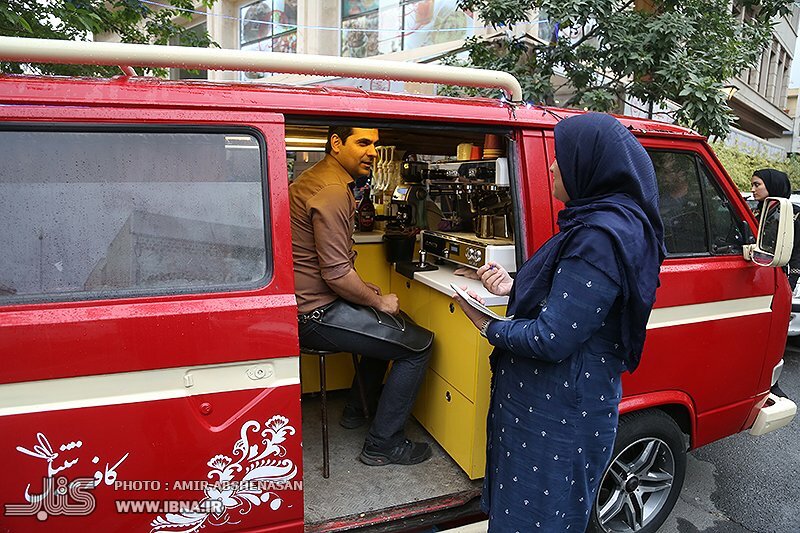 The three guys, who are the employees of a company in the field of oil and gas, are busy at the company from morning to the afternoon. From 5 pm to 10 they work at Titil Café. One of the main features of Titil book café is that you can only borrow books, and this means no one can buy and sell books here. 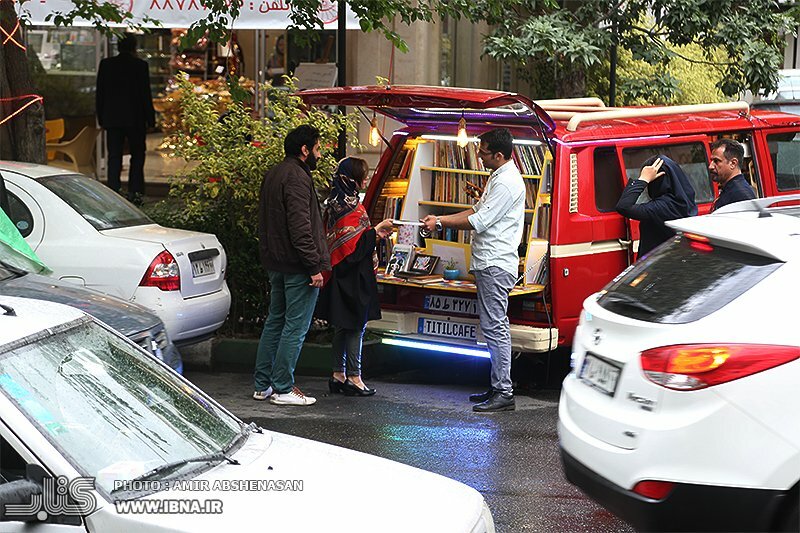 “Our main aim was to lend the books in a rotating form among the audience across the city. 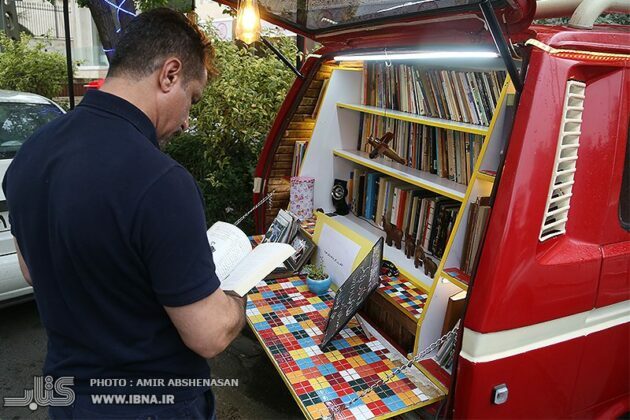 Honestly, we never thought about selling books, and from the very beginning we wanted to lend books for free,” says Mostafa Rasouli. 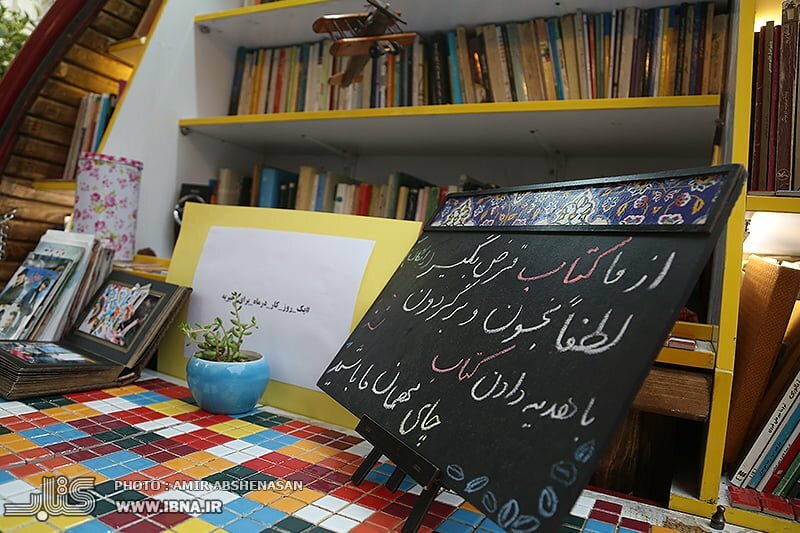 “Borrow a book, read and bring it back please,” this is a sentence written on a 25*30 cm blackboard in front of the café’s library. The library, which began with 150 books, now has about 3,000 volumes. 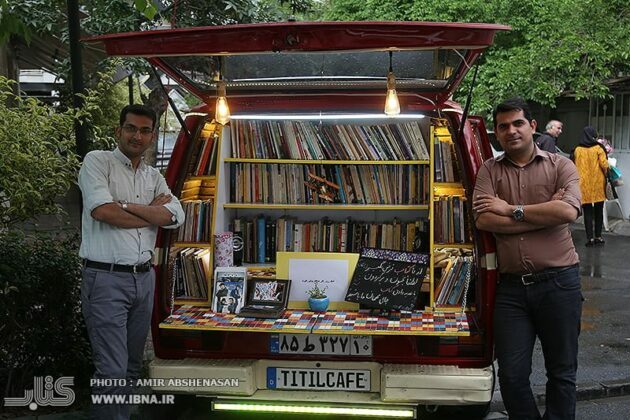 Of these, about 400 to 700 books are transferred every day by the mobile Titil Café. Kourosh, Mostafa and Mohammad-Reza, however, are thinking of another goal by separating the books signed by writers and translators. 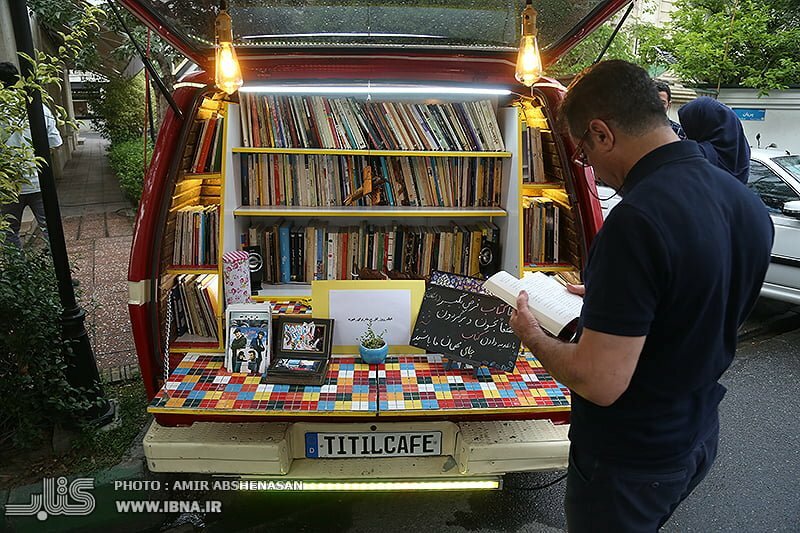 Another interesting thing about Titil café is that on the first Saturday of every month the revenues are spent on charity works.